A beautiful set of contemporary yoruba recordings – performed by the Konkere Beats group in Nigeria, and with a different vibe than some of the more familiar yoruba material from the Caribbean! The sacred sounds are full of percussion and vocal chants – and have a vibe that's maybe even more spiritual overall than some of the other modes that have appeared over the course of the diaspora – in a way that, even though contemporary, might well make this package a rootsier effort than many others we've heard before. As usual, Soul Jazz provide a lot of history in the detailed notes – but those slightly obscure the origin of the group behind this great music – who should be lauded even just for their percussionists alone, who've got a great way of moving between the rhythmic and melodic elements of the music. 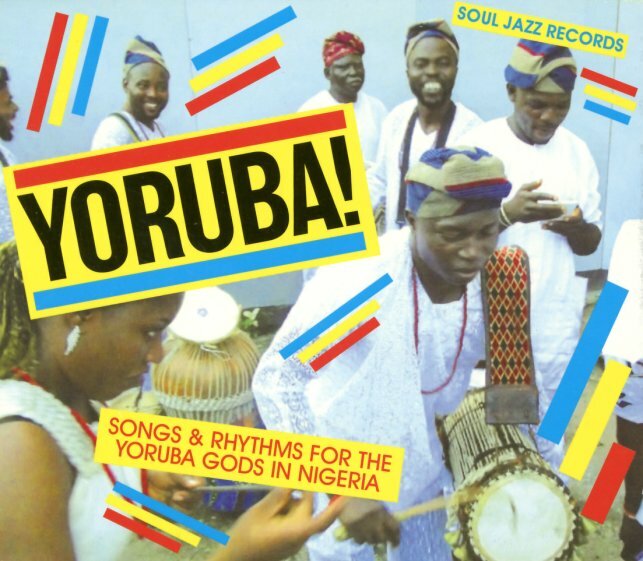 Titles include "Homage To Esu", "Eshere", "Bata Drums Ensemble", "Homage To Obatala", "Eulogy To Amila", "Dundun Instrumental Ensemble", "Homage To Yemoja", and "Agbe Gbe Wadele". © 1996-2019, Dusty Groove, Inc.